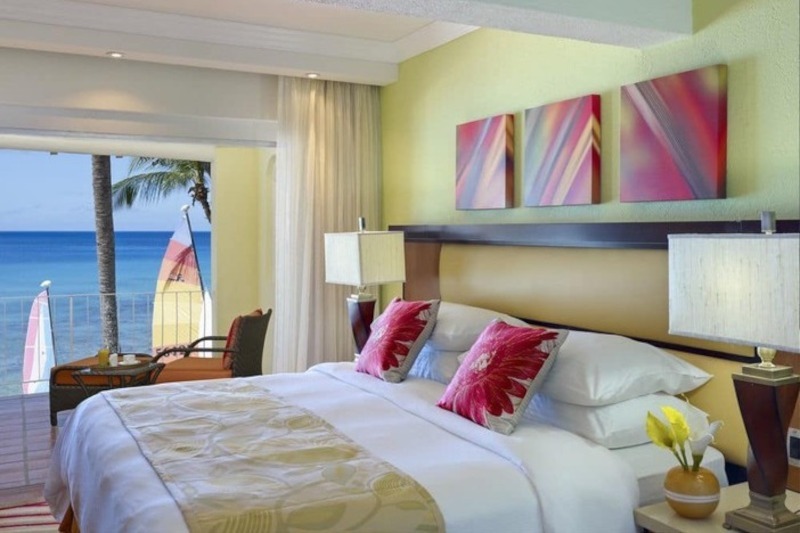 Tamarind Cove Hotel Barbados is a member of the Elegant Hotels group... Set amidst beautiful gardens on a spectacular beach on Barbados popular west coast. This hotel has the right atmosphere for every vacation... Located away from the crowds, yet convenient to the action. Tamarind Cove is the perfect place for great family vacations recently renovated this world-class resort combines an excellent location 10 minutes away from the shopping experience in historic Bridgetown and a host of other activities with an elegant resort style that will please the most discerning guest. In addition as a member of Elegant Hotels this resort provides activities abound on and off premises including nightlife, restaurants, island excursions and of course a myriad of water-sports to enhance the overall experience of a fun filled holiday. Tamarind Cove has the right ambience for every vacation... away from the crowds, yet convenient to the action and spawning a stretch of white sand beach with the most spectacular turquoise waters you can imagine. You can read guest reviews about Tamarind Cove hotel in Barbados. The One Bedroom Oceanfront suite is located a stones throw away from the gorgeous white sandy beach. Here you will fall asleep to the calming sound of gentle Caribbean sea splashing on the beach. However its not nature alone that makes this the ideal vacation spot these suites feature a spacious separate living room, a king bed and pullout sofa and stunning ocean views from a private balcony. Other premium amenities include a flat screen TV, mini-fridge, laptop safe, complimentary Wi-Fi and a spacious bathroom with shower/bath combination. Accommodates up to four adults or two adults and three children. . Read guest reviews about the Tamarind Cove at Hotel in Barbados. You can enjoy the comforts of a contemporary island home when you stay in Tamarind Cove's Pool and Garden view rooms. These rooms include a relaxing sitting area with a sofa bed and lush garden or pool views from a private balcony or patio. You can enjoy breathtaking ocean front scenery from the privacy of your room. The Ocean View Junior suites are Spacious suites that include a relaxing sitting area with a sofa bed and stunning ocean view from a private balcony or patio. There are three contrasting dining options on property at the relaunch Tamarind s Cove hotel. Among these are Relaks Deck, The Sugar Cane Room and the 246 Bar and Restaurant. Relaks Deck is a South Beach Miami inspired, outdoor living area which features an innovative and trendy tapas lounge. You can enjoy various genres of music ranging from R&B, Jazz, Caribbean & Soul. The Sugar Cane Room is an open-air non-smoking restaurant which serves breakfast and afternoon tea. The 246 Bar and Restaurant Brings the spectacular beach backdrop into your dining experience. You enjoy a premium position on one of Barbados' most idyllic beach-fronts. You are not limited to these restaurants as guest of this family friendly resort can take part in the Taste of Elegance Dine Around program with sister hotels. In addition next door to Tamarind Cove hotel Barbados is the glamorous, tastefully decorated Daphne's restaurant. If you are considering Tamarind Cove Hotel for your Barbados wedding the decision should be an easy one. The hotel's location nestle on a 750-foot crescent of white sandy amidst lush tropical gardens makes it the ideal wedding spot. Whether it's a church wedding, a romantic beach wedding, or a more non-traditional venue. The weddings planners at Tamarind will coordinate every detail for you from decorations to transportation. So if you are thinking about sharing your special day with your family and friends. Tamarind's enchanting ambience will memories of a life time. So if you are thinking about tying the knot on a sun drench paradise. With your family and friends close by Sugar Cane Club is the perfect place to be. The hotels immaculate gardens and tropical ambience will definitely add to your wedding day. To book the best rates for your special Tamarind Cove Hotel Barbados holiday enter your information into the search box below. This special Booking engine will search all of the popular booking sites and bring back the best rates. If on the other hand you would prefer to read what other guest to the popular Tamarind Cove had to say about their stay. You may Click Here to read their reviews and recommendations on Booking.